Home » Blog » Apart from a beautiful limo, what else makes for a great wedding? 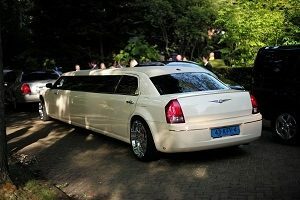 One of the things that make for a superb wedding is a limo hire service. A beautiful limousine to welcome the bride and groom and transport them to the wedding venue will surely capture the interest of everyone invited. It is not just the visual appeal that matters, but also the convenience, as the service will guarantee on-time transport and a smooth ride. However, weddings are much more than just a good limousine. Many factors go into a well-organised wedding, and it would be a mistake to overlook them all. Good food – surely there is a lot of joy and smiling around during a wedding, but know that to keep it all up, guests will need some good food. Truly one of the worst experiences anyone can have at a wedding is related to bad food choices, quality and quantity alike. Ask yourself a simple question: what you’d want to eat at a wedding? Once you have it, all figured out, consult with a caterer so that they can serve it in an appealing way to a large crowd. Make sure the food is enough to keep people on their feet, especially if you are planning an all-night wedding with lots of partying around. Entertainment – the heart and soul of a good wedding, lies with the entertainment factor. You cannot possibly expect people just to do nothing but talk. There must be dancing and other types of entertainment involved. You can plan something of a surprise, such as a magician, a mariachi band or something more exotic, such as professional dancers. Pick a good DJ you work well with. The role of this person is very important since music is a key fun factor. Flowers – a wedding is nothing without some beautiful flowers. Whether they come in the form of bridesmaids bouquets or as table decorations, flowers add life and colour to a party. Don’t forget to don the limousine as well. Most limo hire companies don’t mind such a decoration on their vehicles and even encourage it. Keep your guests happy – your guests should be able to enjoy the festivities at all times. This means taking into account the factors that come into play. For example, have you checked the weather? Will you need some umbrellas and tents? What about ensuring enough seats so that nobody is left standing? Remember that it is your guests that will set the mood of your wedding, so you better not make them unhappy. Pick the right place – the wedding venue is another important factor you need to pay great attention to. Do not pick a venue that will not be easy to reach for everybody. Not all of your guests will be lucky to come with a nice-looking limo after all! These are just a few examples of important factors to watch out for when planning your wedding. 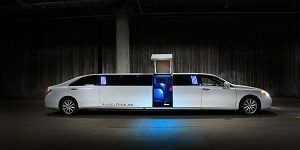 Make limo hire one of them and you are set for a wonderful experience.